Marquis Flowers was out on bond when he was allegedly involved in the fatal shootings of two Brookhaven, MS, police officers early Saturday morning, reports the Clarion Ledger. Flowers, who was wounded either before or during the melee, is in custody but hospitalized. 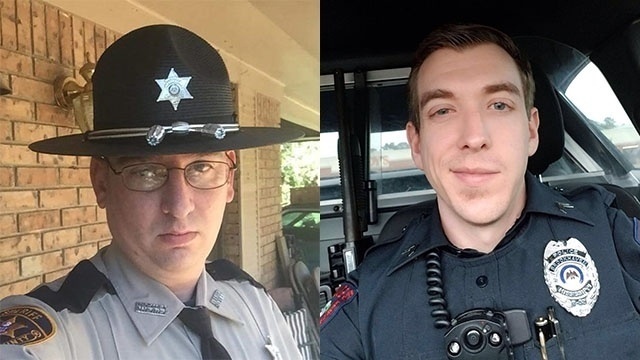 He has not been charged in the deaths of James White, 35, and Zach Moak, 31. While he is the only suspect in custody, according to Mississippi Department of Public Safety spokesman Warren Strain, others have been questioned about the shooting. But it appears Flowers should have been in custody before the shootings occurred. According to Mississippi Parole Board Chairman Steven Pickett, a failure to appear warrant was issued for Flowers in August when he didn't show up for a trial in Adams County. Flowers was sentenced in 2012 to eight counts of auto burglary and conspiracy and sentenced to concurrent sentences, Pickett said. In March 2017, Flowers had his parole revoked when the Natchez Police Department charged him with vehicle theft and felony fleeing. He was returned to community corrections in May and posted a $50,000 bond. It is from that point that it's unclear what happened to Flowers.